There are gorgeous floor ceiling windows in our kitchen. 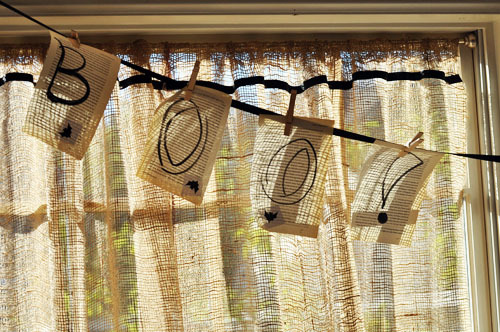 They scream “banner!” At Christmas, there is usually some kind of garland, but, never a banner. 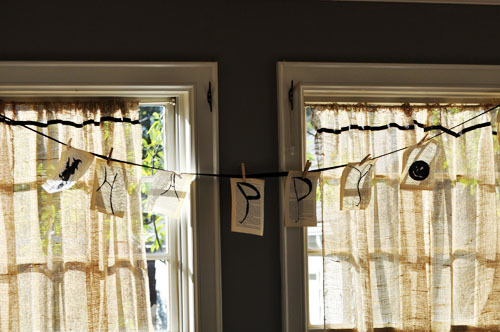 With my love of words, and newsprint, it’s a shame that so many holidays go by without a banner of some kind. Inspired by, (what else is there?) 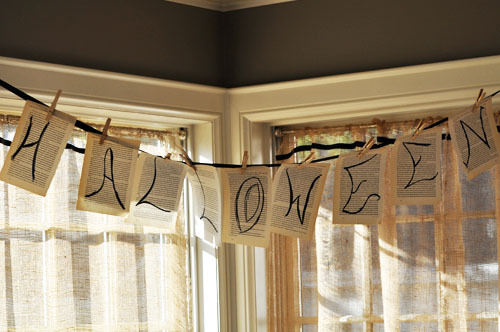 Pinterest — I made a really super cool Halloween Banner. I tore out pages from an old paperback book, already yellowed. I used some cut-outs of witches and a big fat moon and glued some of those on the pages too. Just Carry On, As if Nothing Is Happening.